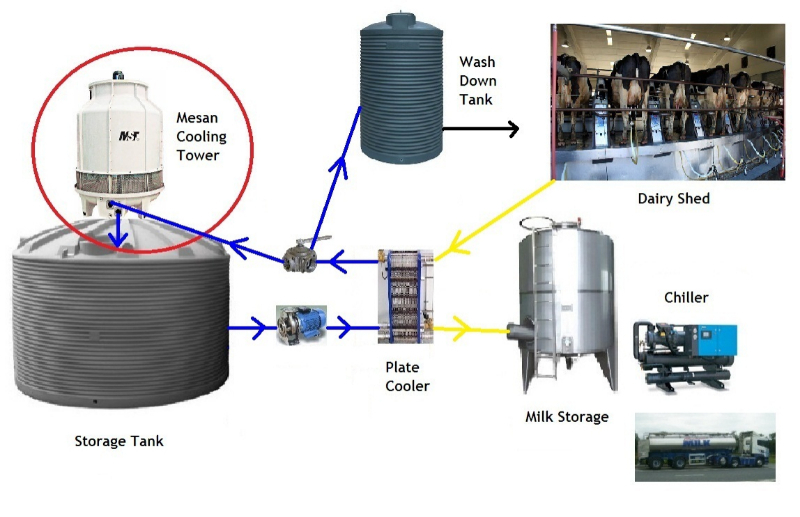 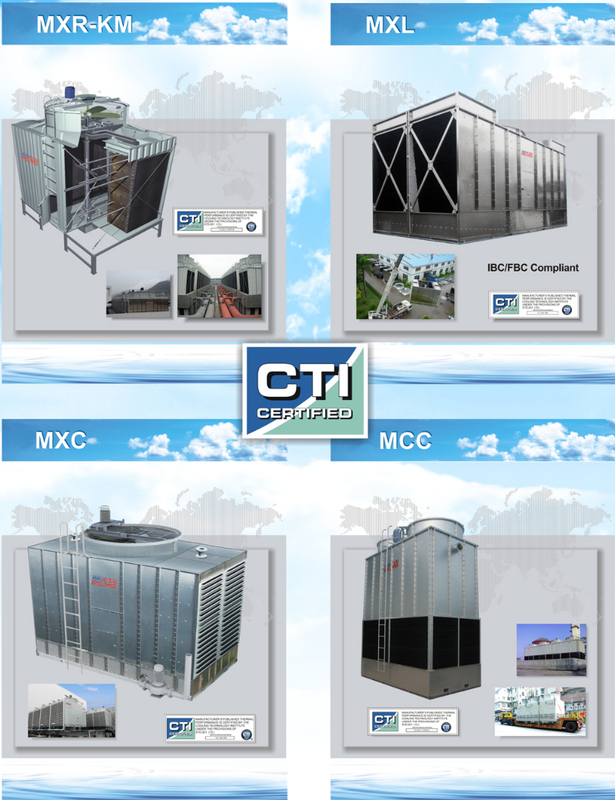 of cooling towers and SHINI water chillers use the latest technology. 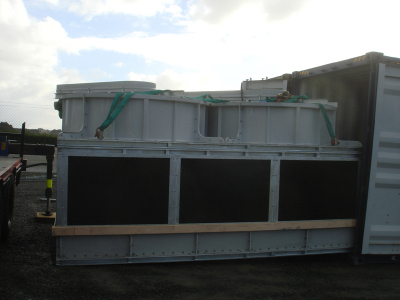 Some models are ex-store from our warehouse in Penrose. 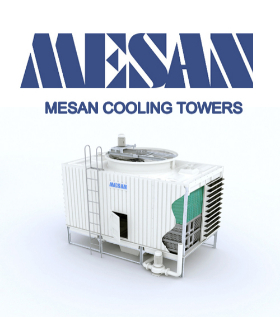 Machinetech Ltd. have been importing and supplying after sales support for MESAN cooling towers for the past 15 years. 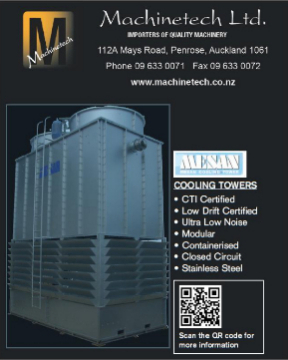 with small to large towers that comply with the New Zealand standards. 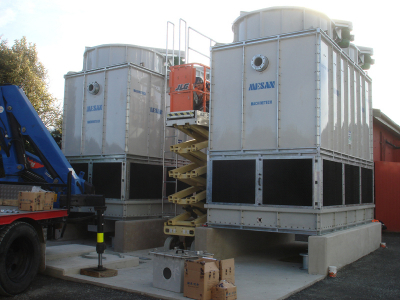 cleaning plants, pulp & paper industries and power stations. 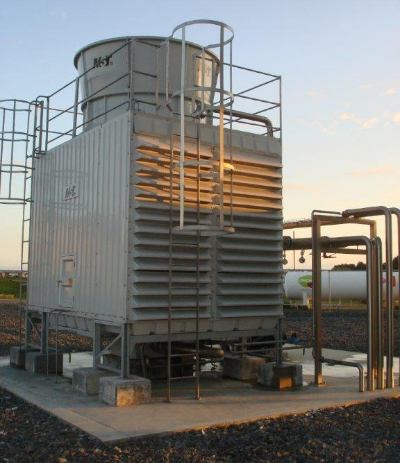 Save power – as they are extremely economical to run. 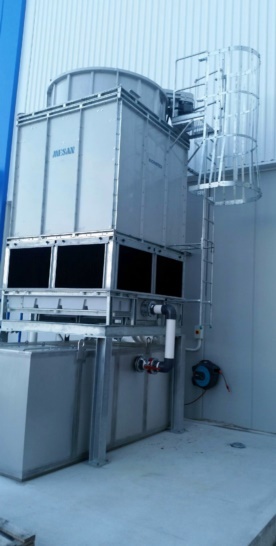 Reduce the use of refrigeration units. 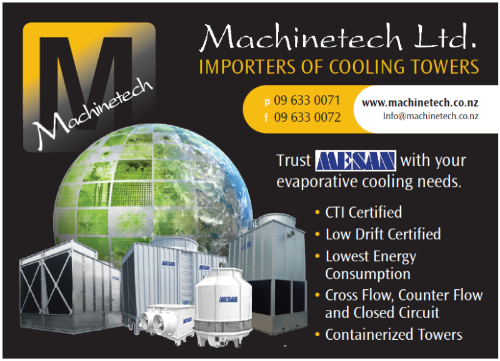 Reap the benefits of the cheapest and most efficient way of removing heat using water. 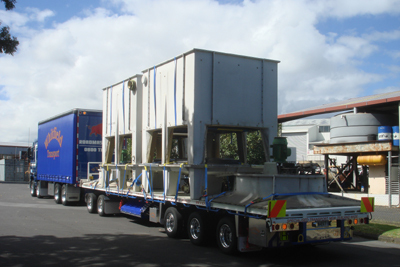 maintenance work on all plastics machinery and cooling towers.